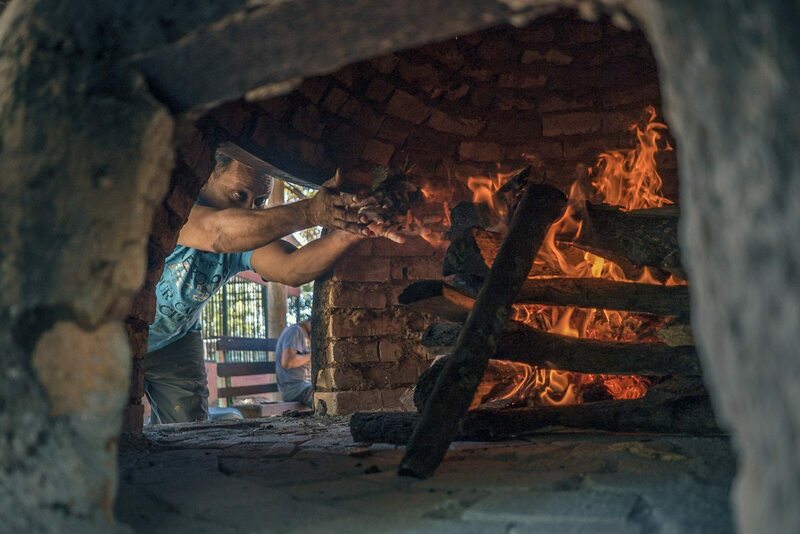 A small breeze freshens the hot air fueled by the emissions from the kiln and from the 82° F that cooks Júnior Matarrita Leal’s skin as pots cook. The heat is witness to this millennium-old Chorotega tradition of which Junior is a proud representative. 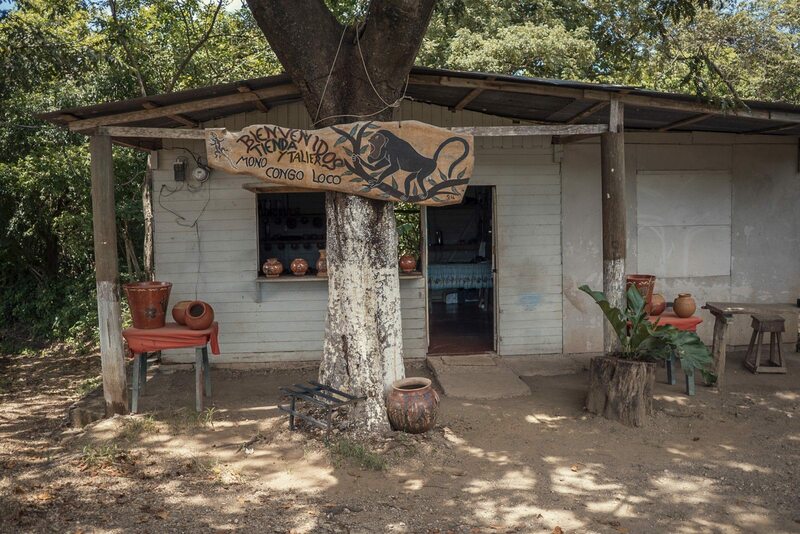 Between Guaitil, his town in Santa Cruz, and the neighboring communities of San Vicente, and Las Pozas de Nicoya, there are more than 20 workshops like his that survive thanks to handicrafts, according to the local producers cooperative Coopesanguai. Junior is 31 years old. With his hands and feet full of clay he tells me that at the age of nine he had his first contact with ceramics when a crafts professor arrived at the Guaitil School as part of a World Vision International program that sought to preserve old traditions by teaching them to school children. 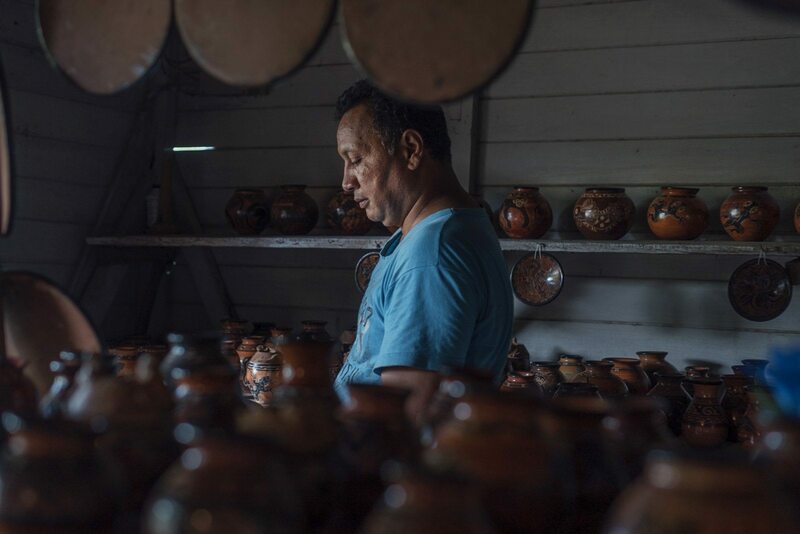 Junior enters a property that belong to the artisans to extract iguana sand, a prized material for making crafts. 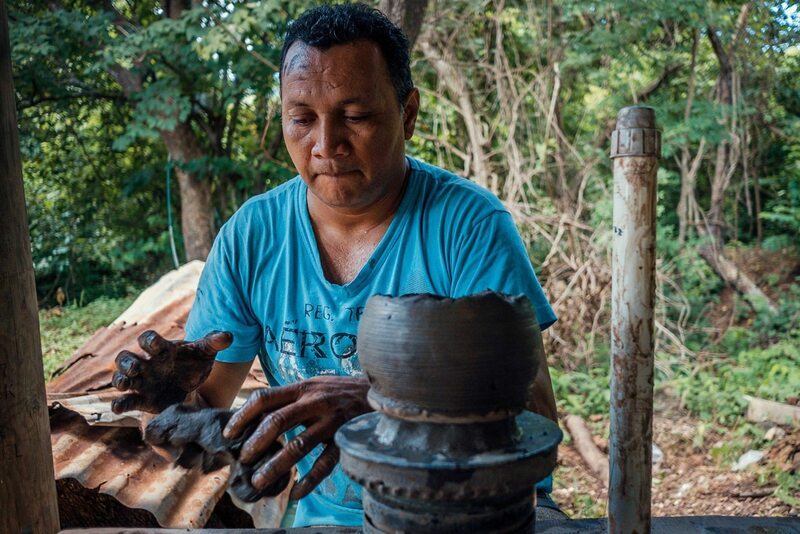 Artisans extract clay from a public property that, over the past 30 years, has been run down and has almost no clay left. 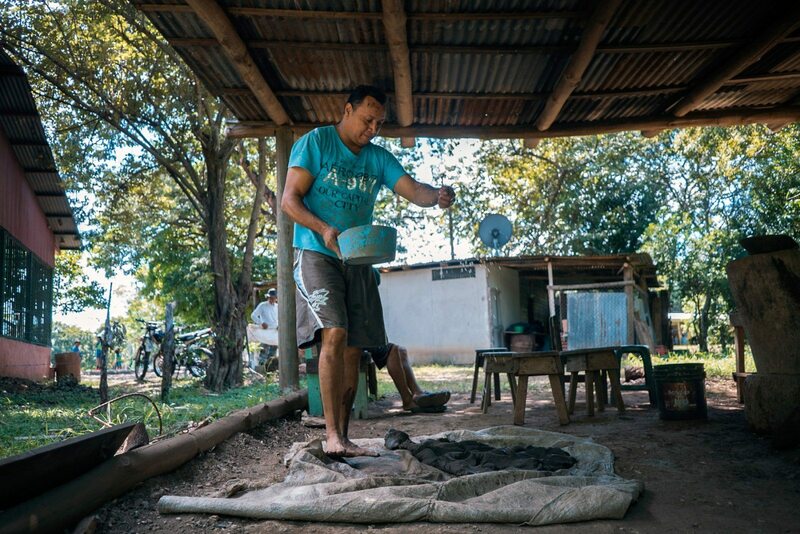 Since he never finished high school, he has to round out his salary with other sources of income, but he does everything in his power to continue doing what he loves most: working as an artisan. He has been a security guard, a trash collector, and since 2008 he has done odd jobs for Santa Cruz City Hall, work that differs from the craftsman tasks at his workshop, which aren’t easy. “These ceramics are unique and completely natural and our hope is that people truly value each and every piece. They have been made with a lot of love and dedication,” Júnior said. Crushing clay is a common practice to prepare the material days before molding. The pieces that he makes are often sold at Mongo Congo Loco, the peculiar name of a 2013 undertaking lead by Guaitil artisans to house their tradition, talent and dedication. Preserving traditions is a family thing. Júnior’s uncle, Miguel Ángel Leal Vega, is also his workshop colleague. Miguel uses recycled tools such as old fan blades or toothbrushes. “These are things that we have nearby and we can reuse them instead of spending money, so we save that. 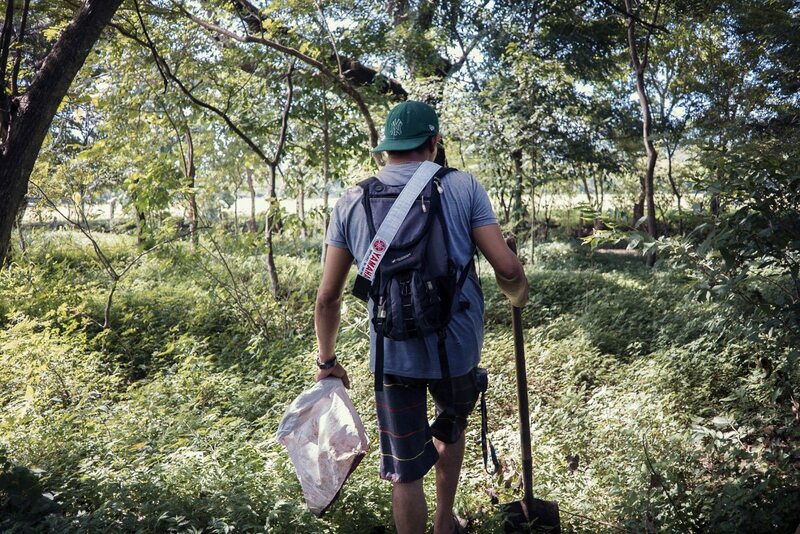 Often, we can’t afford to buy proper tools, but we also like to think about the environment”. Miguel Ángel had his first contact with ceramic early on, some 31 years ago. In 1986, at the age of 15, he decided that he wanted to dedicate himself to this profession for the rest of his life. His mother, also an artisan, passed her talent on to him. She taught him as a child how to prepare clay, where to find sand, and how to place pieces in the kiln. Firing the pieces in the kiln is one of the most exhausting jobs in the process, not only because of the high temperatures and smoke, but also because of the care it requires to handle such delicate pieces and not break them. 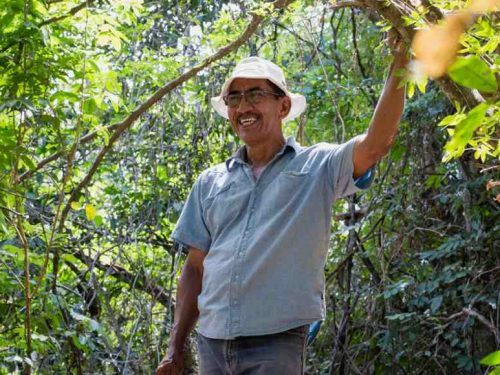 Since the money he makes from artisanry isn’t always enough, he also works as a farmer, a trade he learned from his father and one that helps provide him with food during the slow months when few tourists visit. 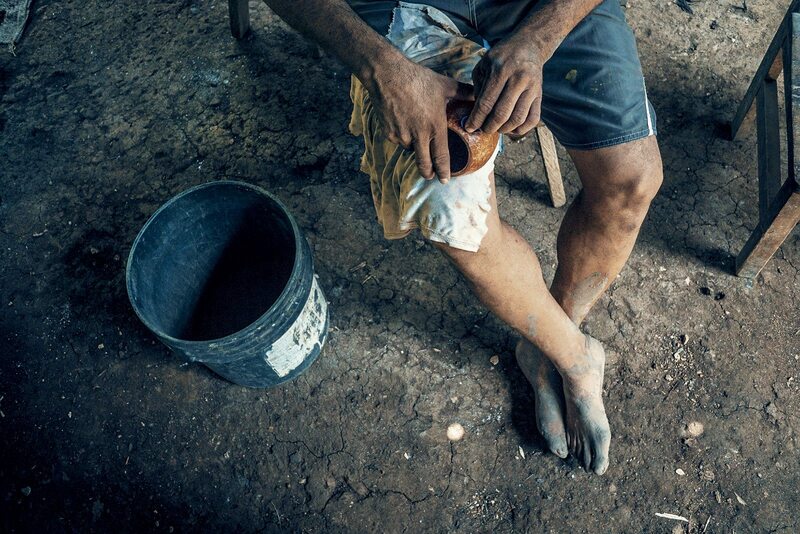 With his feet stained after an hour of crushing clay, Miguel rests on a stool so he can polish the new pieces with his favorite tool: A polishing stone handed down to him by his grandmother. In any case, the sales aren’t anything like those of last century. The attacks of September 11, 2001, they say, had fatal consequences for tourism and his business. Many independent artisans had to work for other workshops or sell through intermediaries. “Before, you knew you could spend 5,000 colons ($8.93) on production and you’d come back with 15,000 ($26.79) in the afternoon because there was more tourism. Not anymore. Now you have to fight for it. You have to pellejearla,” Miguel Ángel said. Before he learned how to be an artisan, Junior already had a good drawing skills. He perfected them with practice and by making crafts. If anyone understands this term, a local slang word that means to fight for something, it’s a Guaitil artisan, not only because of the physical effort they put into their work everyday, but also because of the obstacles they face. On top of the little income they earn and the exhausting work they do, there’s also a lack of raw materials. In 2004, a series of stories in local news outlets warned of “the end” of the Chorotega artisan. The property where they extracted clay was running low on supply and the closest plot of land to find clay was belonged to a family that refused to sell it. Although the art never went extinct, artisans face many more difficulties today to find material than they used to. They buy what they need from nearby properties or they scrape it from the edges of State-owned land. Junior and Miguel’s Mongo Congo Loco workshop opened in 2014. During peak tourist season they can sell between $107 to $178 worth of goods per week. In low season sales fall to around $53 per week. But what they want most is to buy a plot of land where they can extract the raw material without having to depend on others. Miguel Ángel and Júnior worry that new generations won’t have interest in being part of this tradition. Júnior thinks that his generation was the last to receive a formal class at school on being an artisan, an event that changed his life and that he would hope would change the lives of other children. 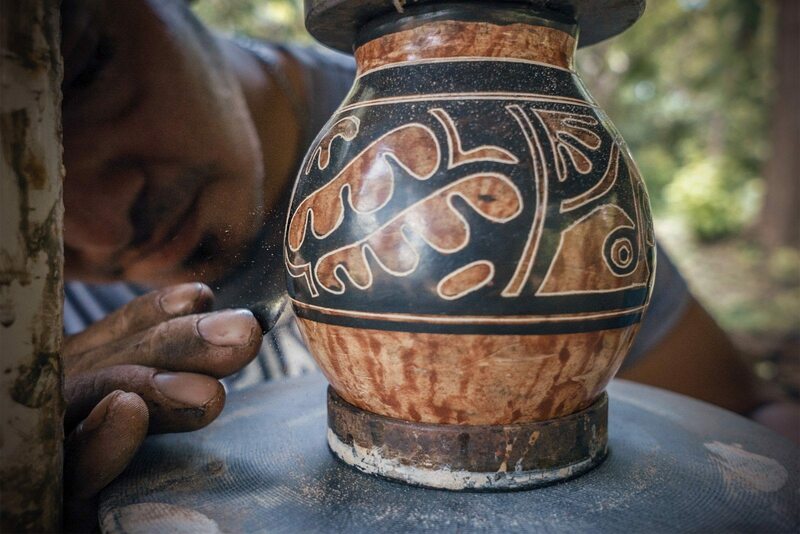 Surrounded by crafts created with his own hands, Miguel reflects on the importance of how vital it is to keep this millennium-old art alive. Some artisans like Júnior and others at Coopesanguai want to bring this art back to schools, but they don’t yet have a concrete plan. 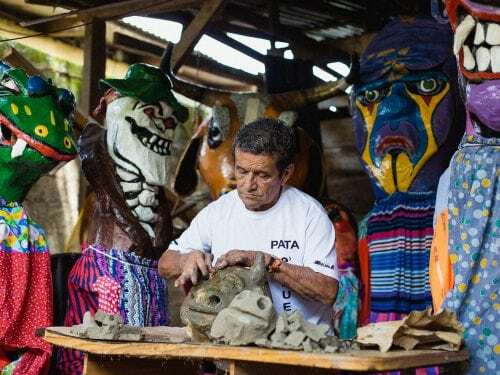 “People should come to Guaitil to get to know our tradition, live this great experience and buy crafts not only to support local art, but also to take a piece of Guaitil land and Chorotega identity with them. 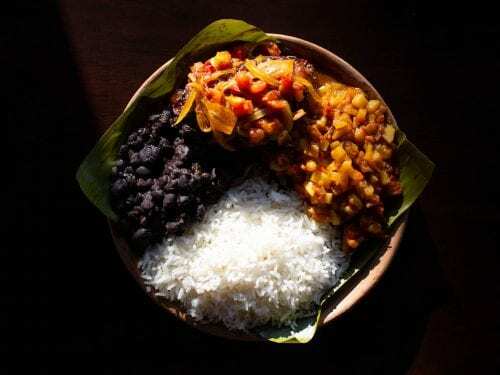 It forms part of our identity as Costa Ricans,” Miguel said.